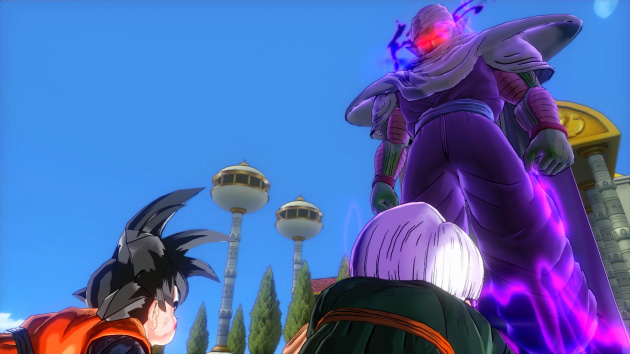 Developed by Dimps and published by Namco Bandai, Dragon Ball Xenoverse is part JRPG, part fighter, and all fun! So what is so grand about Dragon Ball Xenoverse and what sets it apart from the countless other DBZ games that have been released over the years? The answer is just about everything! Continue reading our review to find out all the juicy details regarding this amazing PS3 and PS4 title! The story in Dragon Ball Xenoverse is well-crafted and allows you to relive epic moments in the DBZ mythos in a completely new way. Without spoiling much of the plot, basically bad guys are altering history and it's up to you and Trunks to set things right! This gives a breath of fresh air that most DBZ titles have sorely lacked. The gameplay is also rather refreshing with the ability to customize your avatar's attire, abilities, and move-set as well as boosting his or her stats after leveling up! The game allows you to create an avatar from one of five species, including Saiyans, Majins, and the Frieza race. Each species and or gender has unique strengths and weaknesses to employ or exploit which adds a layer of strategy when developing your character. Overall the game is a fighter at heart, but it does have very heavy influences from the RPG genre which is what actually makes the game so darned good! Also the controls are very intuitive and easy to learn even for the most inexperienced players in the genre! The online gameplay is quite solid despite lacking a virtual keyboard. You'll definitely want to invest in a headset if you plan to play with friends or for extended periods of time. The PS3 version's servers are surprisingly stable so don't expect to be kicked from the servers too frequently unless you have particularly unstable internet connection. The visuals are quite good for a PS3 title with excellently detailed character models, gorgeous cell shading, and a nearly flawless frame-rate even during the most hectic of battles! The sound-track is equally as good with some tunes straight from the Japanese version of the original anime series as well as the official voice actors from the anime! 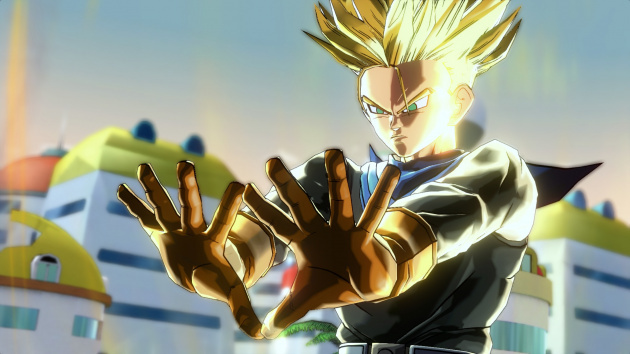 With excellent gameplay, a great story, and flawless controls Dragon Ball Xenoverse is a step above its predecessors while the superb audio-visual presentation and robust online gameplay will keep players entranced in the game's immersive world! Overall Dragon Ball Xenoverse is a fantastic game that we highly recommend to any fan of the genre or series! This review is now live. That weird censorship bug is back. I remember seeing the trailer for this on EBTV (EB Games' in-store video feed), and I found it rather interesting despite having little exposure to the Dragon Ball franchise as a whole. After reading your review, @Ichigofan, I'm eager to give this title a whirl once my family's wifi issues have been fixed! Nice review! I love the amount of character customization that this game offers.